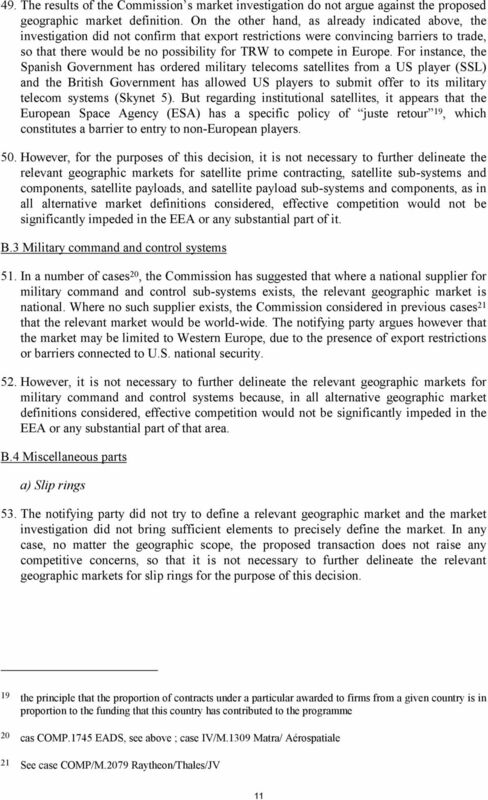 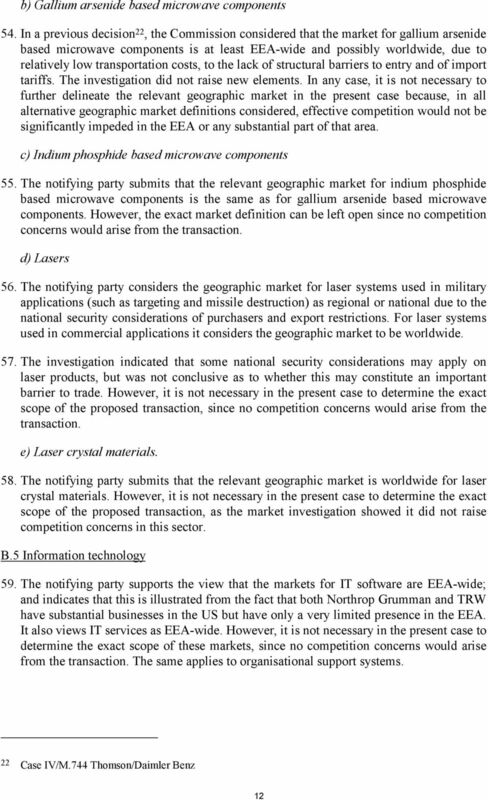 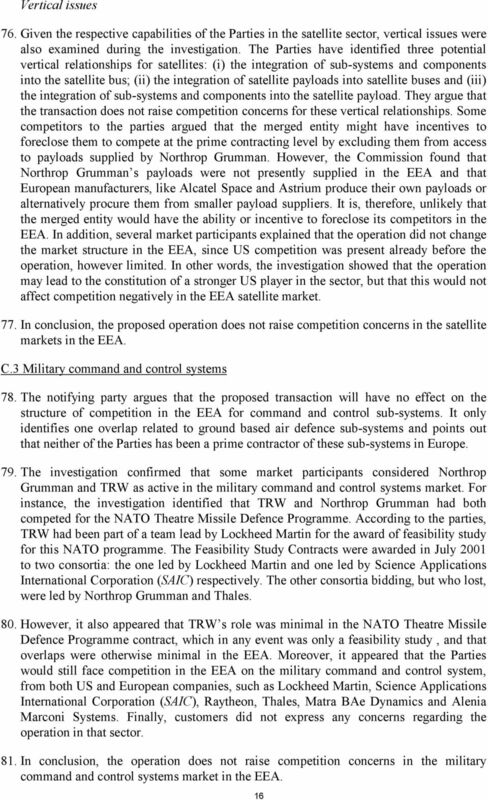 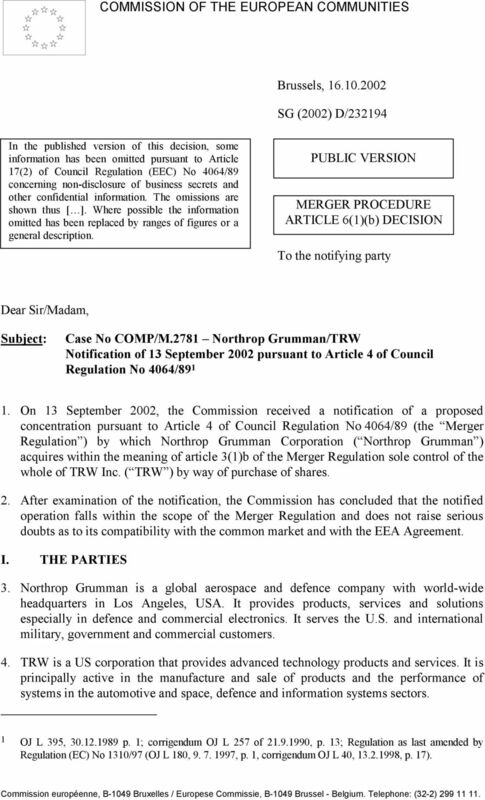 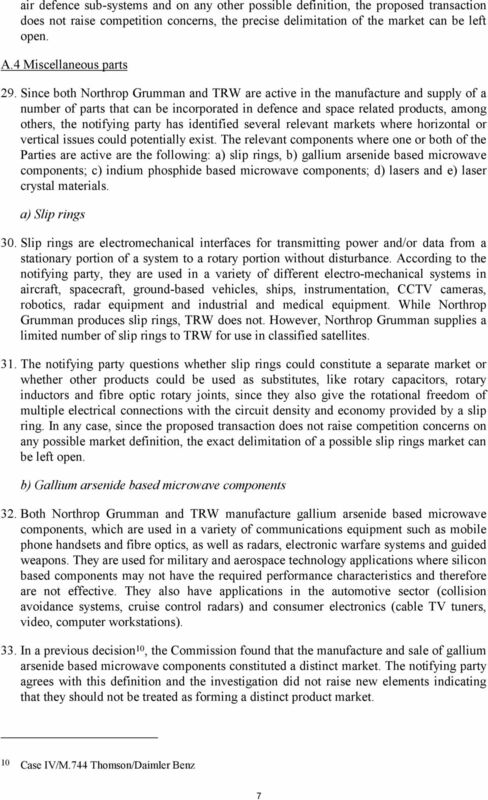 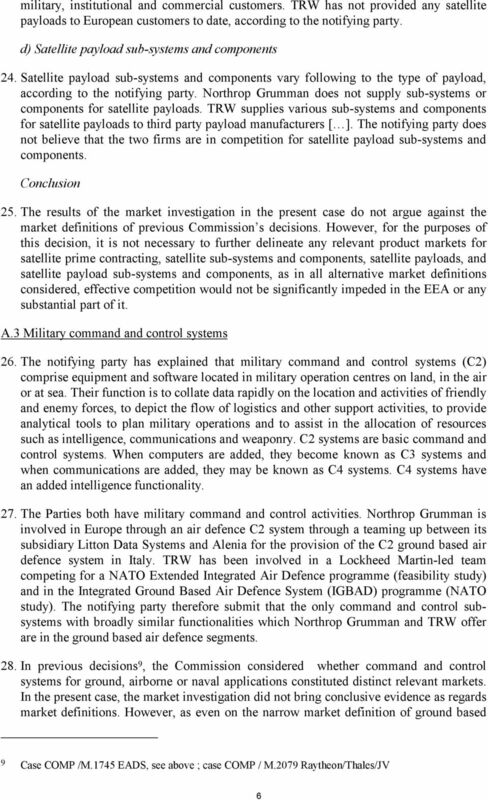 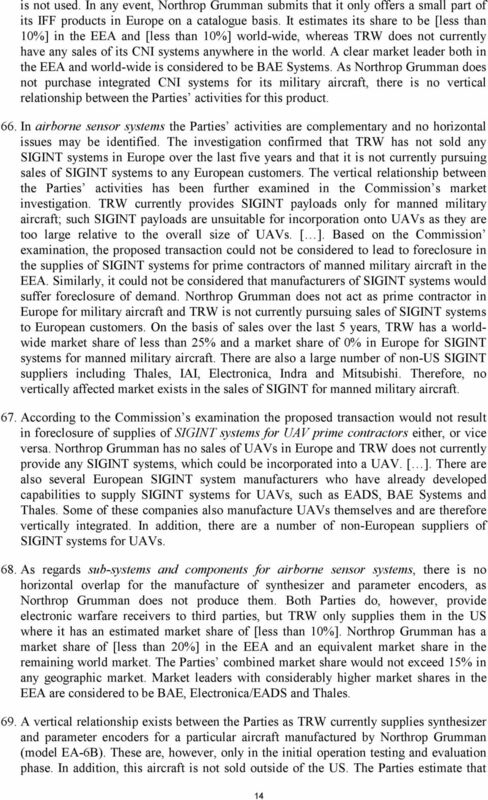 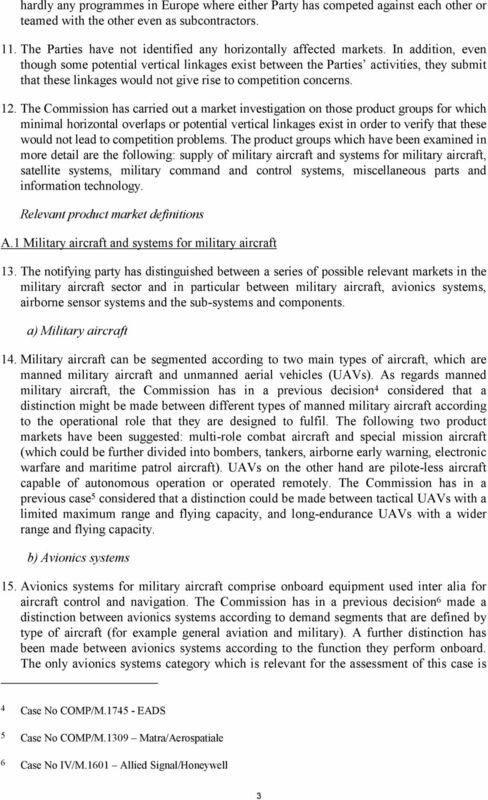 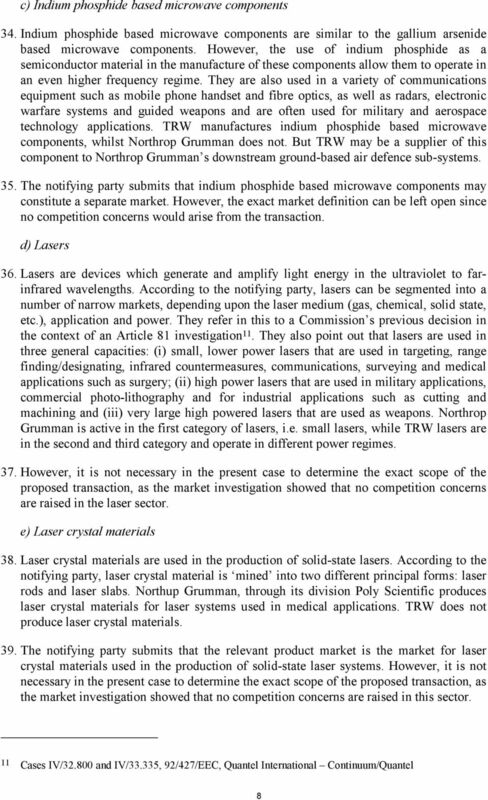 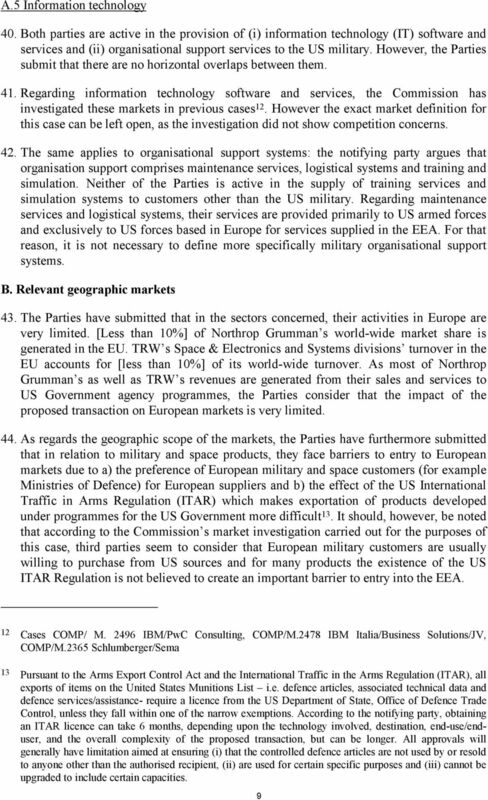 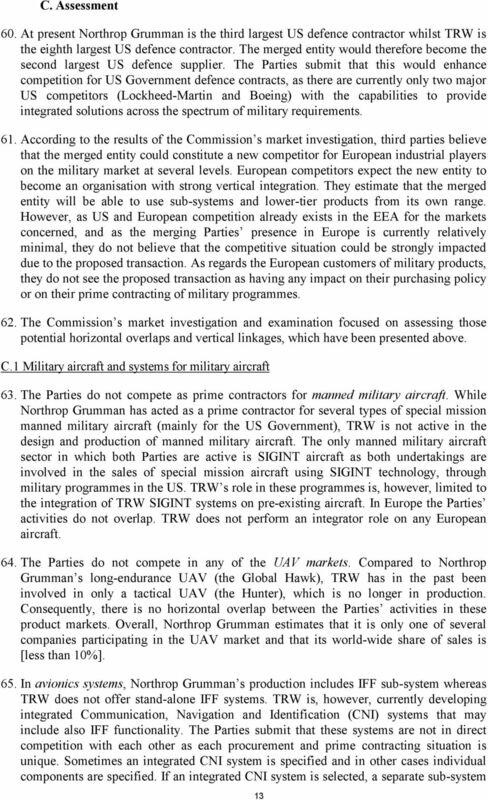 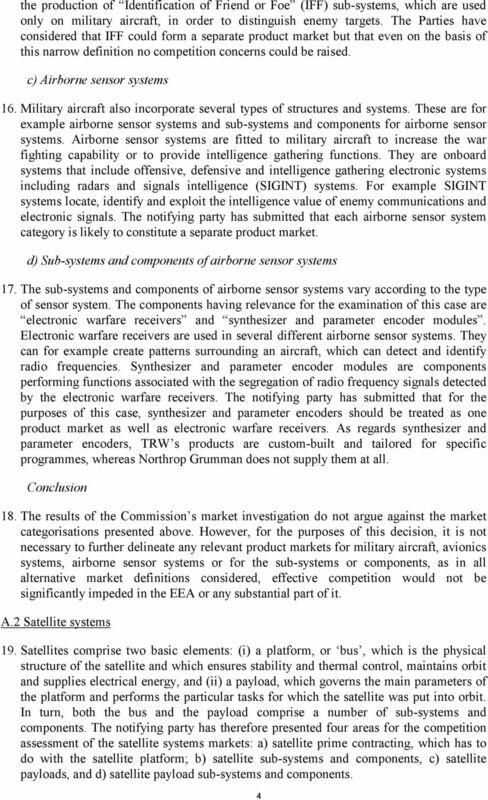 Download "Case No COMP/M.2781 - NORTHROP GRUMMAN / TRW. 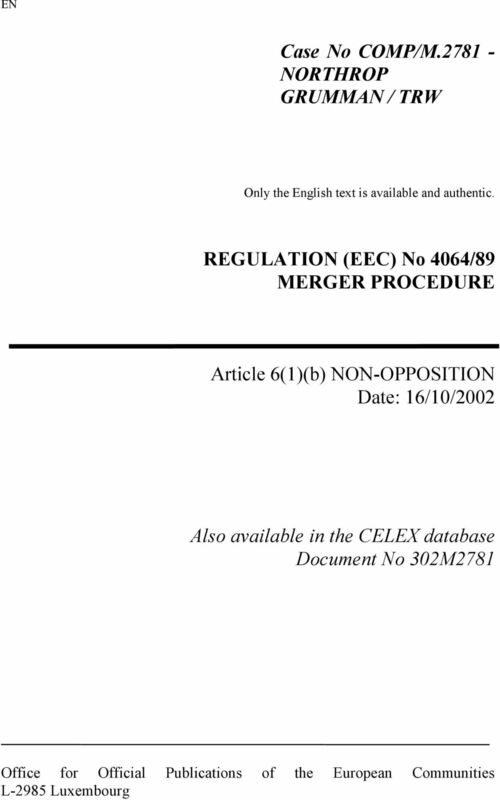 REGULATION (EEC) No 4064/89 MERGER PROCEDURE. 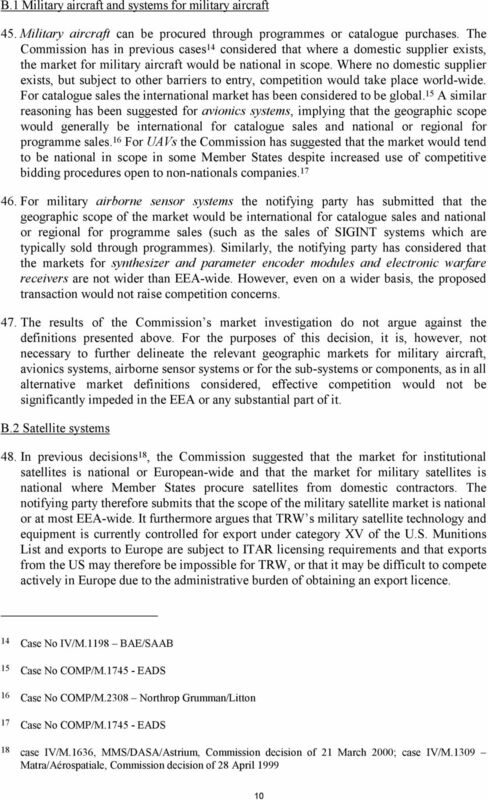 Article 6(1)(b) NON-OPPOSITION Date: 16/10/2002"
What, Why and How. 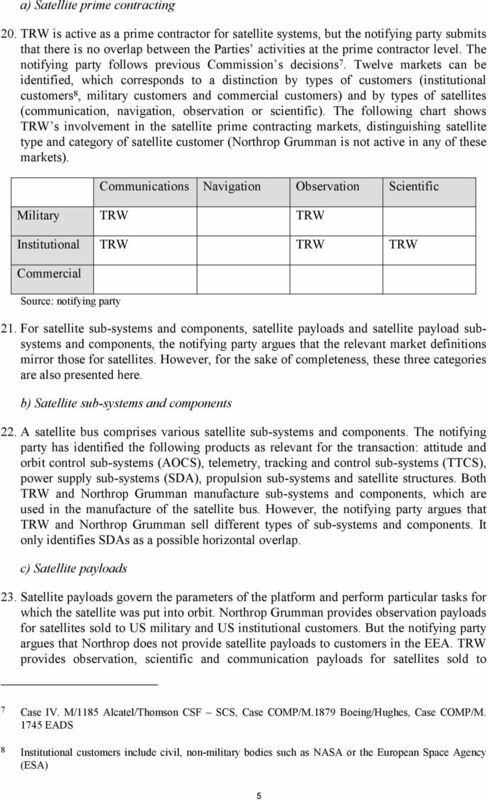 Hosted Payloads: A guide to commercially hosted government payloads from the Hosted Payload Alliance. 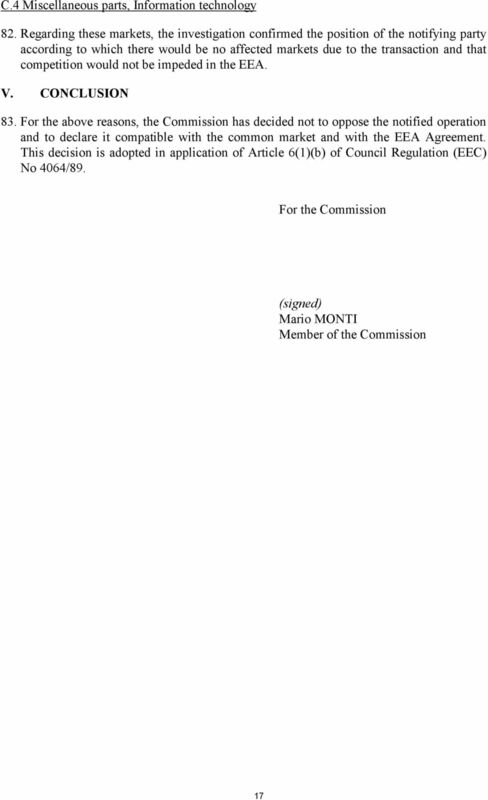 www.hostedpayloadalliance. 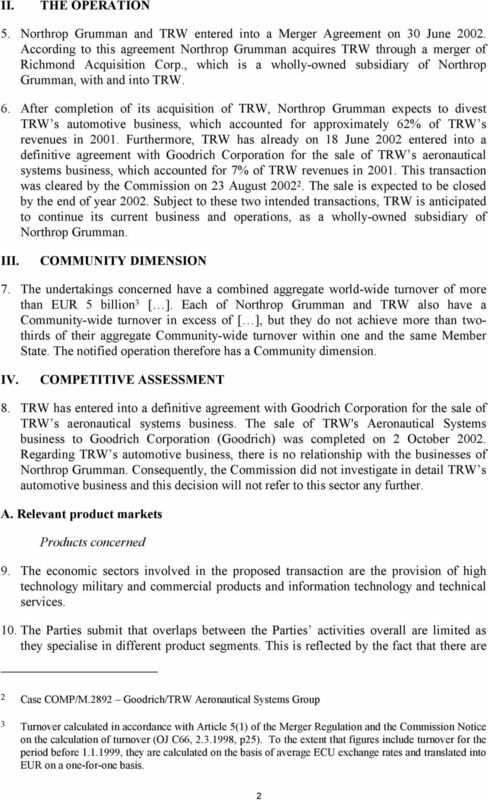 Transmittal No. 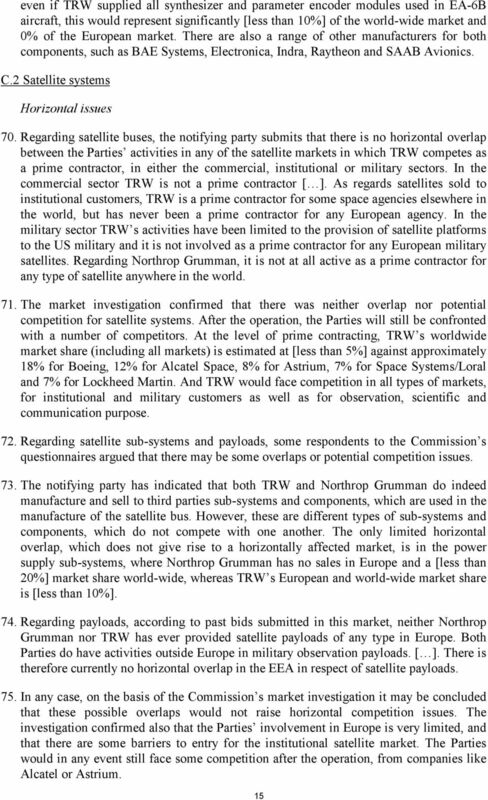 08-56 PATRIOT Advanced Capability-3 Guided Missiles possible Foreign Military Sale to Taiwan of 330 PATRIOT Advanced Capability (PAC-3) missiles, as well as associated equipment and services.